THE Old Testament is the fountain-head of Judaism. 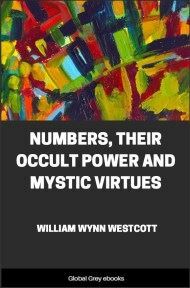 Hence if it is true, as is contended in a previous page, that the Old Testament contains mystical elements, then the starting-point in any treatment of Jewish mysticism on historical, or even semi-historical, lines must be the Old Testament. But this course will not be adopted here. The Old Testament will be omitted. And for a reason which has already been hinted. 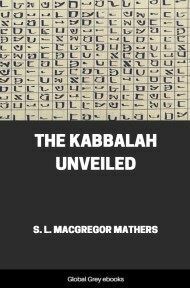 The mysticism of the Old Testament is of an elementary, naïve, and unconscious kind, whereas what this book is intended to show is the consciously-elaborated, professional mysticism of the Jews. What we get in the Old Testament are the ground-work and the scaffolding, the indispensable beginnings of the edifice; but not the edifice itself. Thus it has much to say about the Fatherhood of God. Here we have a basic conception of all mysticism; for the latter in all its phases and stages assumes the possibility of communion with some one who, while greater and more powerful than ourselves, is at the same time loving, and benevolent, and personally interested in us. You can only pray to one who hears; you can only feel love towards one who, you know, has loved you first. The Old Testament scintillates with sublime examples of men whose communion with God was a thing of intensest reality to them, and whose conviction of the 'nearness' of the Divine was beyond the slightest cavil. The sudden and unexpected inrushes of Divine inspiration which seized the Old Testament prophets; Isaiah's vision of a God 'whose train filled the Temple'--an emblem of the All-inclusiveness of Deity, of the presence and the working of an all-embracing Spirit of Life; the ecstasy of an Ezekiel lifted from off his feet by the Spirit and removed from one place to another; the fact of prophecy itself--the possession of a spiritual endowment not vouchsafed to ordinary men, the endowment of a higher insight into the will of God;--all these represent a stage of first-hand, living religion to which the name of mysticism is rightly and properly applied. 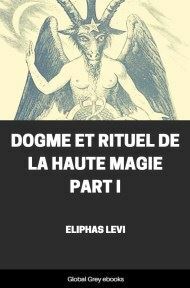 But they are no more than the preamble to the explicit, conscious, and pronouncedly personal type of Jewish mysticism which is the subject of the present book. 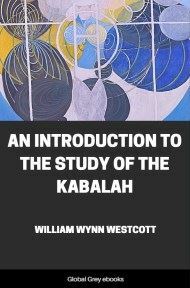 The earliest beginnings of this mysticism are usually accredited, by modern Jewish scholars, to the Essenes. 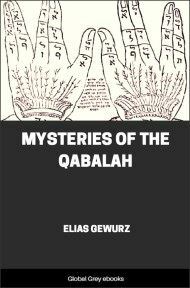 To say this, is to put back Jewish mysticism to a very early date, for according to the theory of Wellhausen (Israëlitische and jüdische Geschichte, 1894, p. 261), the Essenes as well as the Pharisees were offshoots of the Ḥasidim (חסידים = 'pious ones') of the pre-Maccabean age. But it is only a theory, and not an established historical fact, seeing that the religious tenets of the Jews during the three centuries immediately preceding the birth of Christianity are veiled in considerable obscurity, and seeing also that the real meaning of the name 'Essenes' as well as their exact relations with the Pharisees are points upon which there is anything but certainty. 'What is certain, however, is that three out-standing literary sources belonging to the first two or three Christian centuries--viz. 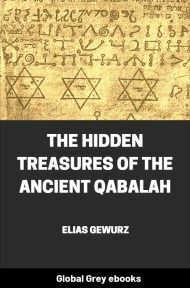 (a) Philo, (b) Josephus, (c) some older portions of the Babylonian and Palestinian Talmuds--all have stray allusions, couched in varying phraseology, to certain sects or parties who differed in their mode of life from the general body of the Jews, and who were in possession of certain esoteric teachings of which those outside their ranks were un-informed. Thus Philo (Quod omnis probes liber, 12) writes of them that they were "eminently worshippers of God (θεραπευταὶ θεοῦ), not in the sense that they sacrifice living animals (like the priests in the Temple), but that they are anxious to keep their minds in a priestly state of holiness. They prefer to live in villages, and avoid cities on account of the habitual wickedness of those who in-habit them, knowing, as they do, that just as foul air breeds disease, so there is danger of contracting an incurable disease of the soul from such bad associations." Again, in another of his works (De Vita contemplativa, ed. Conybeare, pp. 53, 206), Philo says: "Of natural philosophy . . they study only that which pertains to the existence of God and the beginning of all things, otherwise they devote all their attention to ethics, using as instructors the laws of their fathers, which, without the outpouring of the Divine Spirit, the human mind could not have devised . . . for, following their ancient traditions, they obtain their philosophy by means of allegorical interpretations. . . . Of the love of God they exhibit myriads of examples, inasmuch as they strive for a continued uninterrupted life of purity and holiness; they avoid swearing and falsehood, and they declare that God causes only good and no evil whatsoever. . . No one possesses a house absolutely as his own, one which does not at the same time belong to all; for, in addition to living together in companies, their houses are open also to their adherents coming from other quarters. They have one storehouse for all, and the same diet; their garments belong to all in common, and their meals are taken in common." Josephus speaks of the Essenes in similar terms (see Antiquities, XVIII. i. 2-6; also De Bello Judaico, II. viii. 2-13). The points to be noted in both the fore-mentioned authors are: (a) the great stress laid on fellowship, amounting to a kind of communism; (b) their removal from the general people by reason of their higher sanctity; (c) their devotion to the knowledge of the existence of God and the beginning of all things; (d) their love of allegorical interpretation.